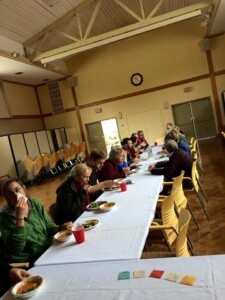 Lunch at Canterbury Woods gym–so kind of them! 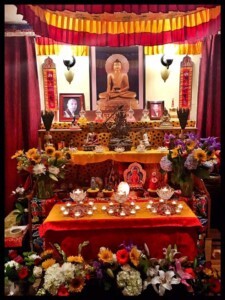 They even put prayer flags on the table for us! 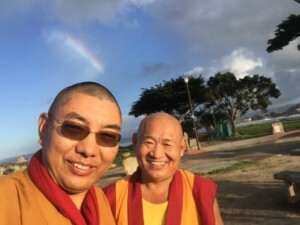 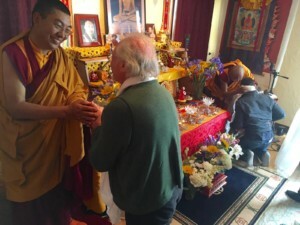 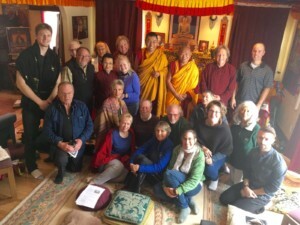 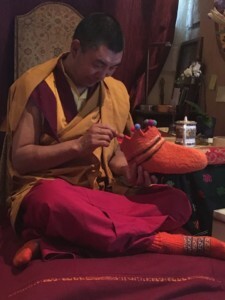 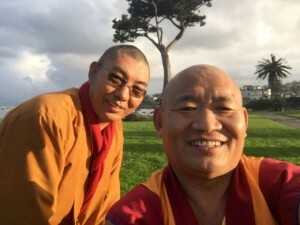 Rinpoche and GesheLa with rainbow.